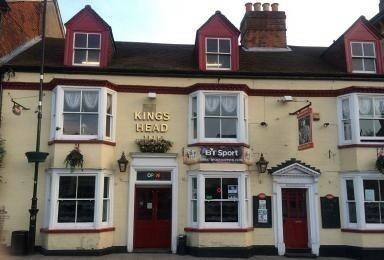 The King’s Head is the most historic of the town’s numerous pubs, although it is now no longer used as a pub. 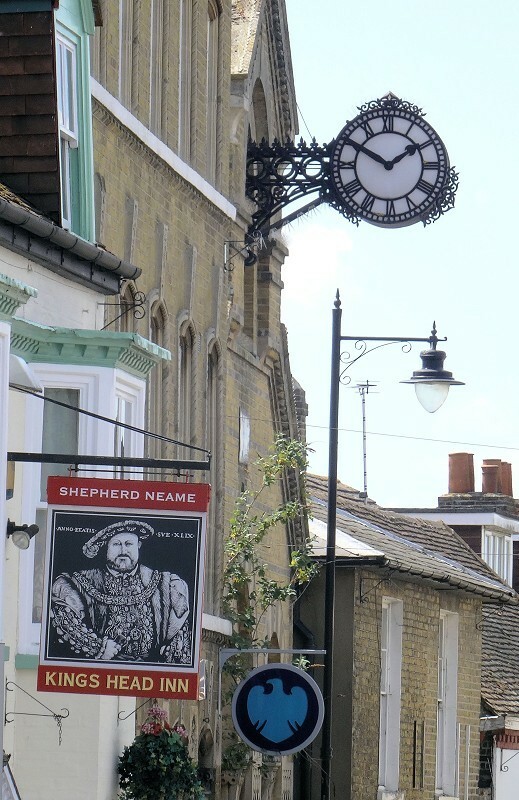 Its use as an inn predates 1700 and it was originally one of the main stops en-route to London. 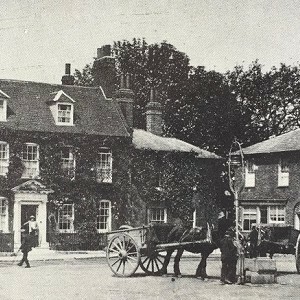 The Rochford stagecoach ran from here to Aldgate High Street and back, from the 17th century until the end of the 18th century. At the rear of the pub, running parallel with West Street is Back Lane. The Old Forge (now a private residence) occupies the site of the original stables. 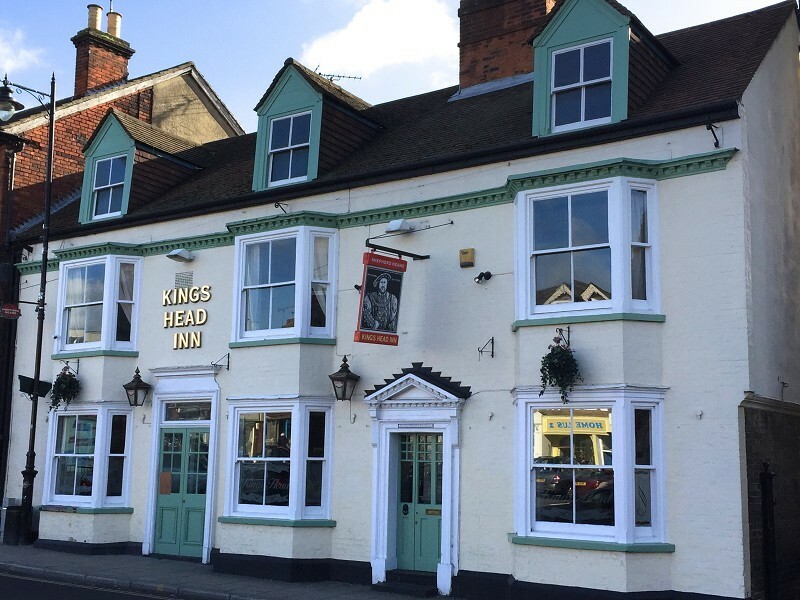 The King’s Head Coaching Inn would have had an ostler and a blacksmith to tend the horses. 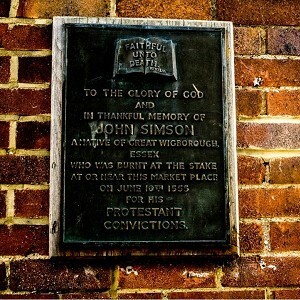 The deed of 1739 shows that the King’s Head was once a part of the manor court held by John Offord. 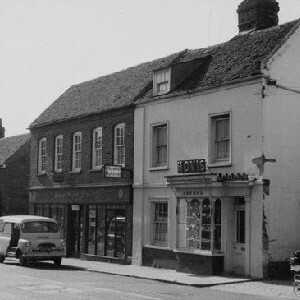 Until 1793 it was named the Blue Boar. 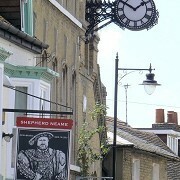 Over the centuries, the pub has hosted virtually every significant meeting for the Rochford Hundred. Hundred was first used in the Saxon era as an administrative term used to divide a county. 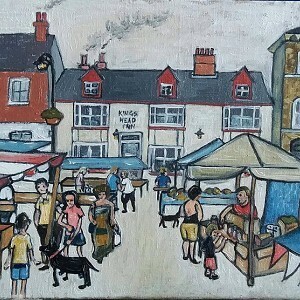 Essex was originally divided into over twenty Hundreds and Half-Hundreds. 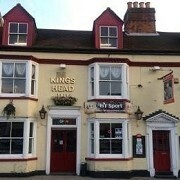 The pub is also famous for playing host to the Lawless or Whispering Court. This unique ritual is thought to have begun during the 12th century, when tenants became angered by the Lord of the Manor’s absence from the Hundred, as he was never there to settle their land disputes. On his return to the Hall, the Lord himself was awoken by a cockerel crowing and subsequently overheard the unwitting cloaked tenants whispering in the courtyard below, plotting his death. He reportedly strode straight into the courtyard, reprimanded them for their treachery and ordered penance. They were made to assemble every year around the custom made Whispering Post on King’s Hill in Rayleigh, to pay homage for their lands by way of whisper. This ancient ceremony was held on the Wednesday after Michaelmas, a Christian festival held on 29th September. 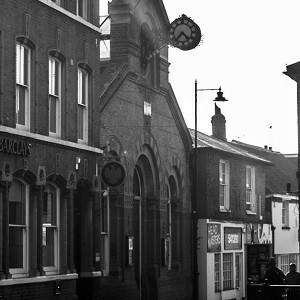 Once the Whispering Post was moved to Rochford in the 17th century by the second Earl of Warwick, the ceremony began at The King’s Head with a feast of boiled fowls with vegetables, leg of mutton with caper sauce, ale, plum pudding, apple tart and sweets, after which merriments continued with bowls of steaming punch. 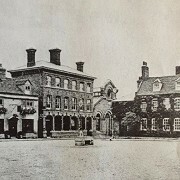 “Oh yes, oh yes, oh yes, all persons who have appeared at this court for the manor of King’s Hill have leave to depart hence keeping their day and hour on a new summons. God save the King”. They would then return to the King’s Head for more punch and revelry, often continuing until daybreak. By the end of the 18th century, it was quite a riotous affair, drawing in the crowds to observe. The early 19th century saw the demise of the manorial lords and with them this strange custom disappeared into the sands of time.